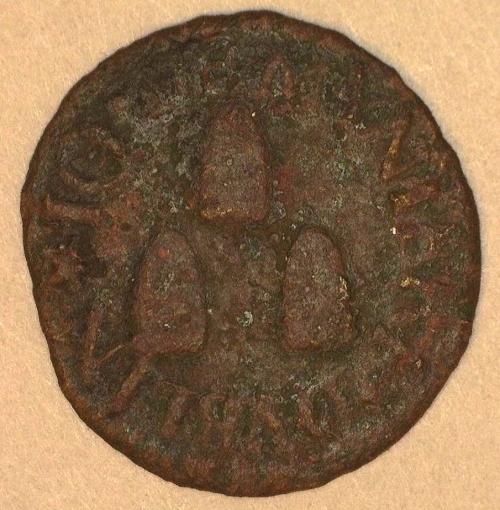 Weight: 0.99 g.; 10 mm. 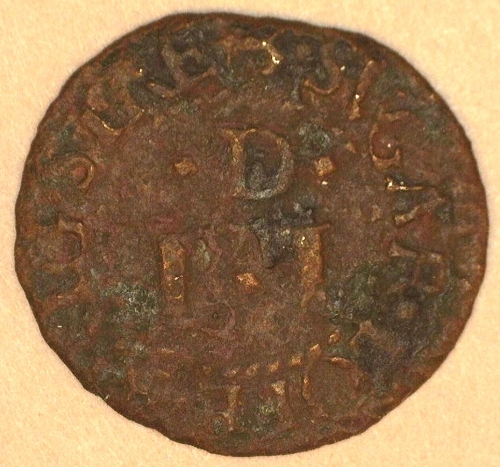 A copper token issued by Jo Demyniere of Dublin, 0.99 g., 10 mm., BW-308A. Obv *IO. DEMYNIERE.DVBLIN around 3 sugar loafs. Rev. *3 SVGAR.LOFE.BRIG.STRET, w final T sideways, both sides all within toothed border. Excavated. Very Fine. Rare. $180.